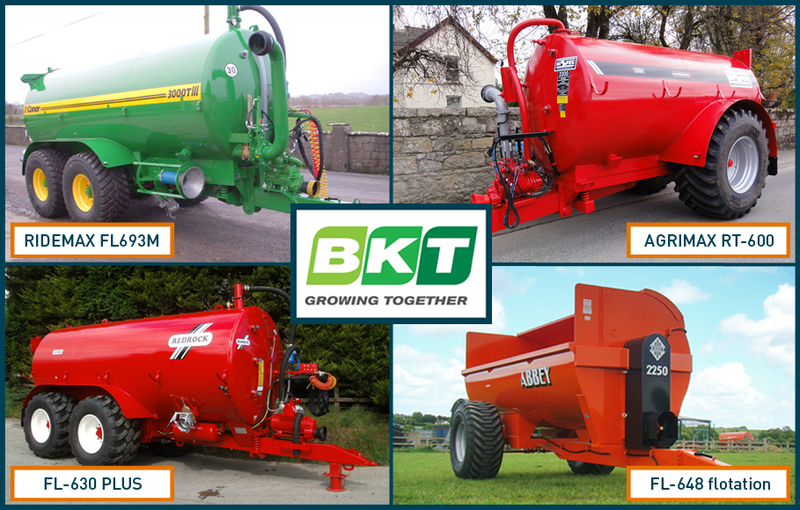 Agrigear offers a broad range of tyre and wheel solutions for farmers and contractors for slurry tankers and muck spreaders. We have experience with tankers varying from small 900-gallon to larger 4,000-gallon machines. The total weight of the tanker (actual weight of machine plus weight of slurry being carried), could be anything from 10 to 24 tonnes, so selecting suitable tyres and wheels for a machine is important and needs to be determined by assessing both the machinery being used as well as the land profile being worked on. The objective is to minimise damage to the ground whilst ensuring efficient operations. 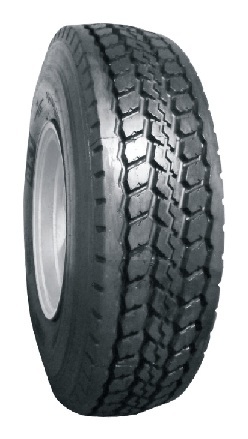 This tyre is suitable for 2,000 to 3,000-gallon slurry tankers. With a tractor wheel lug pattern, the round shoulders helps reduce and distribute ground pressure evenly, therefore lessening damage to soft soil and grass. With lugs sitting at a 45° angle, this tyre delivers good hillside grip and smooth running on roads. This tyre is ideal for use with heavier loads where a lot of road work is involved; it is a 50:50 tyre suitable for both field and roadwork. With a square block-type tread pattern, it provides smooth on-road operation as well as good road wearing characteristics and is ideal for 1,000 to 4,000 gallon tankers. This tyre has good rolling and braking properties. 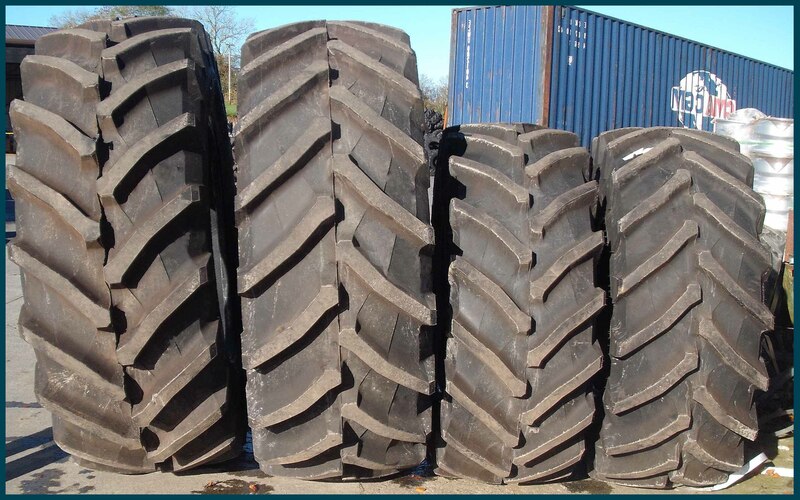 Its bi-directional tread design is a cross between a flotation tyre-type tread and a conventional tractor tyre tread. It is suitable for 1,000 to 4,000 gallon slurry tankers where good flotation is required in wet conditions. This tyre can be described as an ‘entry level’ tyre which in its day was ‘the’ slurry tanker tyre. Now, as an economy crossply flotation tyre, it is among the list of implement tyre options for farmers and contractors, for both on and off-road use. The Agrimax 580/70R38 is a steel-belted tractor tyre that can be used on a muck spreader to carry a maximum load of 8 tonnes per tyre while travelling at a speed of 40km/hr. This tyre is also suitable for slurry tankers. Agrigear can provide wheel options for almost every slurry tanker or muck spreader in the market, including older models with wheels that are not built in. It also offers a wheel manufacturing and modification service where wheel centres can be modified within the wheel rim to suit different requirements. Contact Agrigear on (042) 9666444 for advice or a quotation. The AIROMAX AM27 tyre is a high speed radial crane tyre ideal for high speed mobile crane operations and is available in size 445/95R25. With a load/speed rating of 174F this tyre can carry a maximum load of 6700kg while travelling at a speed of 80km/h. The AIROMAX AM27 crane tyre features a novel pattern that displays excellent qualities for on-road travel. Designed with special heat-resistant compound for use on big roads, this tyre also has a non-directional '5-RIB' pattern for high speed. The tread pattern of the AIROMAX AM27 tyre is designed to offer low rolling resistance and the centre-blocked ribs give traction in off-road conditions when required. The multi-layered belts give resistance to punctures that can happen as a result of impacts and cuts. 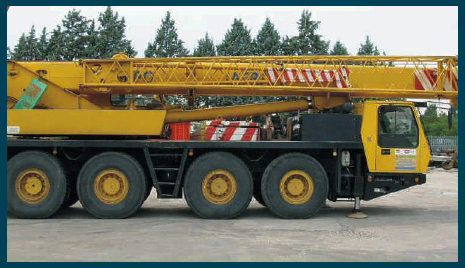 To view technical information about BKT's AIROMAX AM27 crane tyre, please click here. 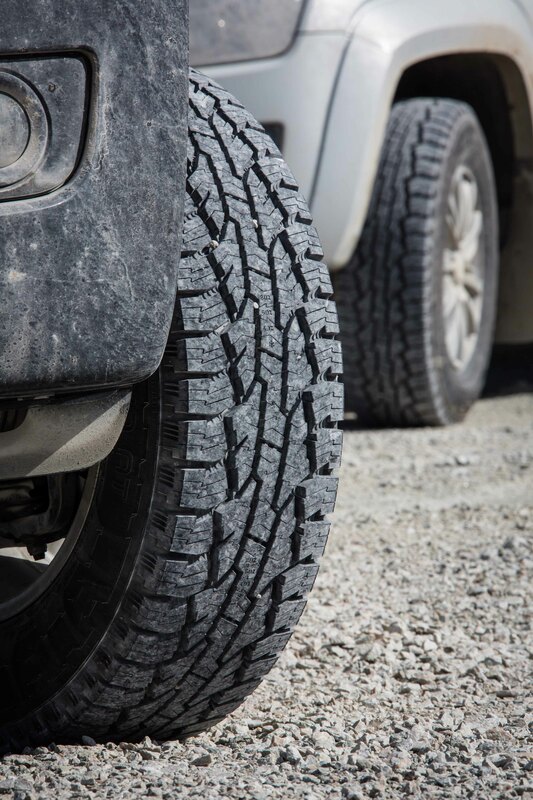 The Nokian Rotiiva AT (All Terrain) tyre for SUVs grips effectively both on and off the road. This sturdy, special tyre guarantees optimal performance without compromising safety or driving comfort. Nokian Rotiiva AT is excellent on asphalt or gravel, but also moves with ease in lighter off-road conditions. The sturdy structure and tailored, cut-resistant tread compound give the tyre excellent durability when used with heavier cars, as well. The Rotiiva range of tyres is available at Agrigear and the following sizes are now in stock. Click here to read more information about Nokian's Rotiiva All-Terrain tyre. €8,950+VAT for set of 4, rims also available at extra cost. Tues 4th - Thurs 6th February 2014; 1.00pm-10.00pm each day.